A British ex-pat tells us what it's like to live in Switzerland, and explains why the Swiss are deliberately different from the rest of their European neighbors. We'll also get pointers for fun things to explore on a weekend in Wales from one of that country's top tour guides. And a musician from Orvieto provides examples of the different styles of folk and traditional music you can enjoy across Italy. David Tordi's band is called Bartender. David notes that Fabrizio De André and Paolo Conte are two of the most influential singer-songwriters in Italian popular music in recent decades. Wikipedia compiles extensive historical information about the various styles of folk music in Italy. Diccon Bewes has been touring the United States this summer, and writes about the Swiss-themed places and events he's been to on his website. His book "Swiss Watching" is a best-seller in Britain. His latest book is called "Slow Train to Switzerland." The SwissInfo.CH blog explains the concept of the "Rosti Divide" in Switzerland, and has maps that show the major language regions of the country. 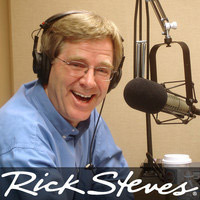 There's a personal profile interview of Martin de Lewandowicz on the Rick Steves website. Martin describes Caernarfon Castle for The Guardian in a 2001 interview. Fishguard is a popular scenic coastal town in southern Wales. The Snowdon Mountain Railway takes you to "the rooftop of Wales." Caller Tessa recommends staying at Betws-y-Coed and visiting Penrhyn Castle in northern Wales. The Doctor Who Experience provides studio tours where the classic BBC sci-fi TV series is filmed in Cardiff. St. Fagan's National History Museum, near Cardiff, is one of Rick's favorite sites in Wales. Tinturn Abbey is a popular attraction in the Wye valley of southeast Wales, near a number of other important historical sites.